However, we have shown that many sponge species are more tolerant than corals of the impacts of climate change. 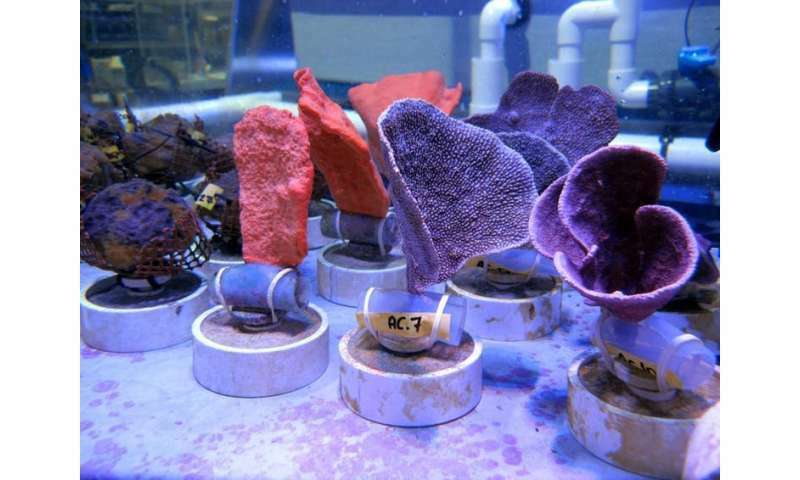 We think sponges could be future "winners" on coral reefs. Our work explored the tolerance of four Great Barrier Reef sponge species to ocean warming and ocean acidification levels predicted for 2100. All species were unaffected by moderate climate change scenarios where we increased the temperature by 1.5°C. However, the environmental conditions projected under the most extreme scenarios (4°C increase in temperature) had significant adverse effects in some species. While higher temperatures can decrease the health and survival of some sponge species, ocean acidification generally appears to have negligible effects. Research conducted at natural carbon dioxide vents also confirms the overall pH tolerance of many sponge species. Our experimental work showed that responses to the combined effects of ocean warming and ocean acidification vary between different types of sponges. While acidification exacerbated the effect of warming in sponge species that feed on plankton, it mitigated the warming effect in species with photosynthetic symbionts. Sponges respond differently throughout their life history stages. Larvae of the abundant sponge Rhopaloeides odorabile have a thermal threshold 4°C higher than their parents. Survival and settlement of larvae of the common reef sponge Carteriospongia foliascens are unaffected by worst case climate change predictions. 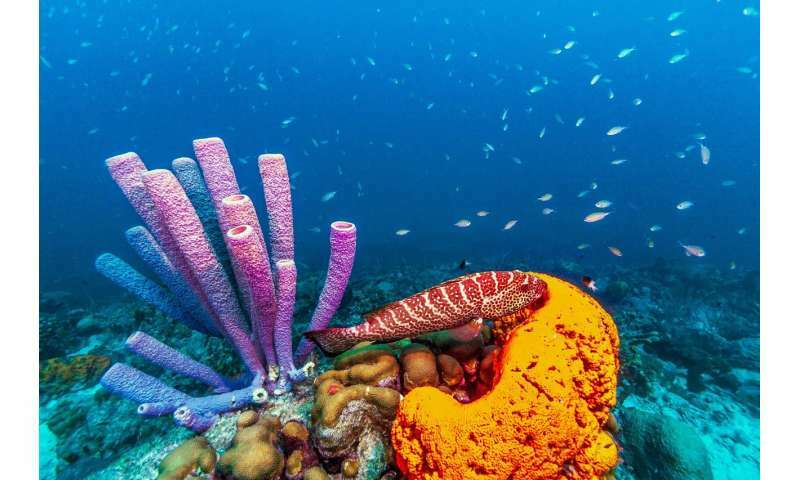 These findings suggest that sponges have an inherent capacity to tolerate climate change, but that this tolerance is not maintained in adult populations. In our most recent research, we explored the potential mechanisms that underpin sponge tolerance to warming and acidification. We measured the composition of lipids and fatty acids in sponge species with different environmental sensitivities. We found that sponges with greater proportions of storage lipids and certain long‐chain polyunsaturated fatty acids were more resistant to warming. These specific lipids and fatty acids likely preserve cell membrane function and other cellular processes in the face of temperature stress. Further exploration of how sponges alter their membrane lipids in response to rising temperatures revealed a potential mechanism through which ocean acidification may increase resistance to thermal stress by increasing production of membrane‐stabilising sterols. Our research shows that lipids and fatty acids are an important component of how sponges respond and may support their survival in future oceans. Reefs dominated by sponges will likely function very differently compared to existing coral-dominated systems. Reefs where sponges are already the most abundant taxa have been reported from Indonesia and the Central Pacific. Some researchers also consider many Caribbean reefs to be mostly dominated by sponges. Recent research modelled how reef ecosystems with increased sponge abundance would function. It highlighted the need to better understand how changes in the dominant group of reef organisms could alter marine food webs. 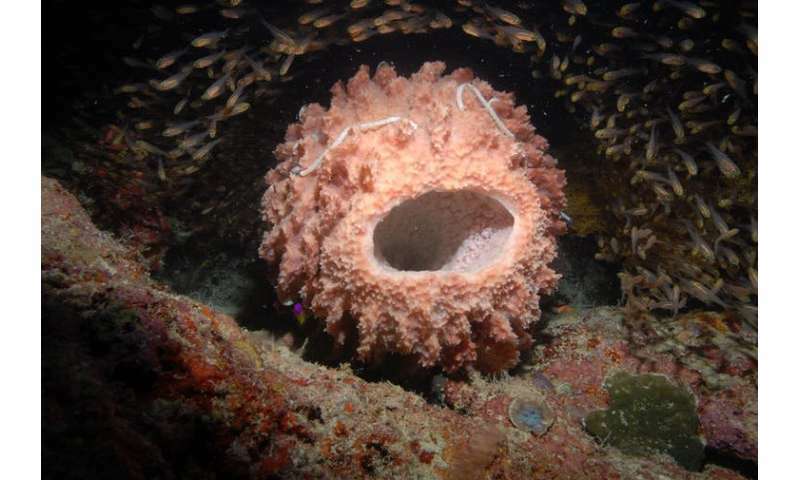 While it is unlikely that sponge-dominated reefs would provide the same resources to humans as coral reefs, they offer habitat and food for some reef species. They are also responsible for nutrient recycling and contribute to structural complexity that should have positive effects on reef biodiversity.